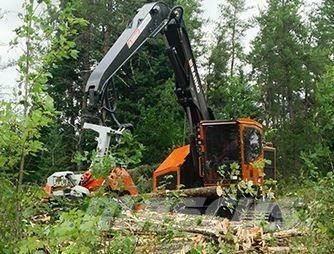 Autres informations Description: Incorporating input and expertise from leading engineers, end-user customers and other forestry professionals, Barko tracked harvesters are purpose built from the ground up to provide exceptional performance. Offering an efficient combination of brute strength, customized hydraulic controls and simplified service features, Barko harvesters are the most powerful machines in their weight classes. The 260B is powered by a 225-HP Cummins QSB6.7 Tier 4 Final diesel engine with SCR after treatment. The unit includes a 36-inch-diameter auto reversing fan with automatic temperature control, and heavy-duty extreme cooling engine package.